Well I credit Deb Steele, Pink’s owner (Kindle’s mom, Hazel’s sister) for getting me to think about setting a goal. I thought Ce qui sera sera, what will be will be. If the shows work out in our schedule, fine. We looked at the calendar and there was a 4 day show in Kansas City MO. I asked Bruce if he wanted go, and he was game. We were married in KCMO, 29 years ago, so thought that would be a fun vacation. 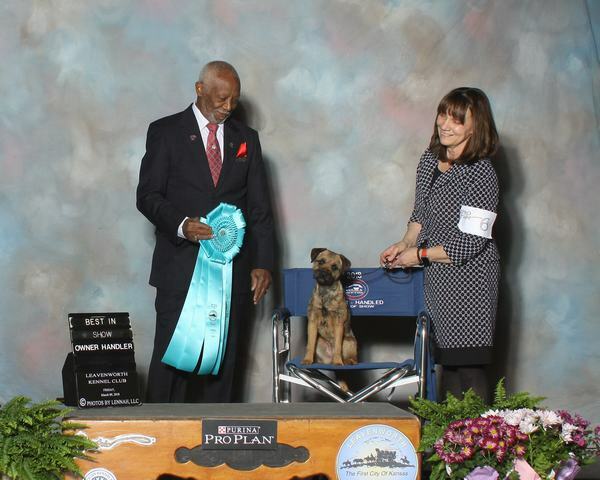 Bruce ended up sick as a dog, and Kindle ended up winning a NOHS BIS (National Owner Handler Series, Best In Show)!! 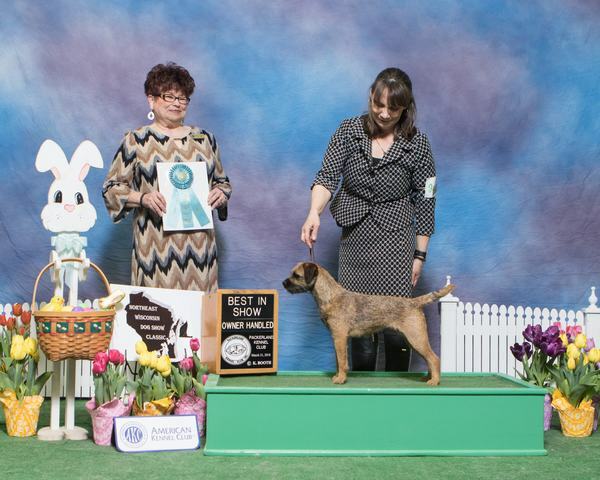 Then Kathy and Margaret Henning invited us down for the Manitowoc dog show, fun time. Then we decided on creating a raffle fundraiser for the 2019 BTCA specialty. All a plus for making a great weekend. To top it off, Kindle won another NOHS BIS! We are ecstatic. All this happening in just a few weeks. So now I’m obsessing over the calendar and checking the internet for standings. Exactly what I wanted to avoid. C’est la vie, such is life. Félicitations encore! Kindle a gagné! Comme elle est belle!